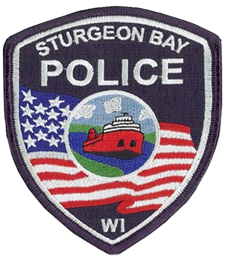 The Sturgeon Bay Police Department was founded in 1883. The first two Police Officers to walk the beat in the City of Sturgeon Bay were Police Justices George Nelson and J.C. Pinney. At that time the ship canal had only been completed 1 year and there was no bridge to get across the bay. The first bridge would be built 4 years later in 1887. 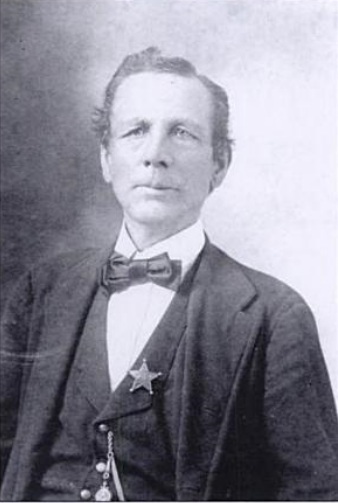 In 1901, Sturgeon Bay appointed Horace Van Doozer to Police Chief. Previously Horace worked for the Algoma Police Department for many years. 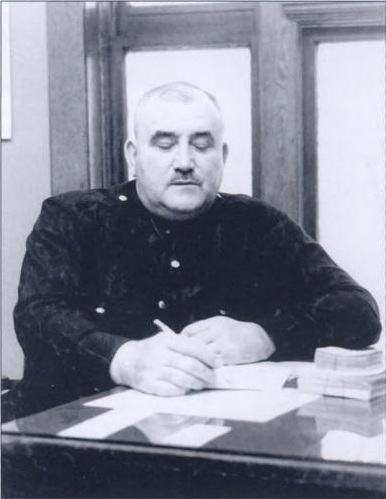 In 1906, Horace retired at the age of 73 years old, which when he retired he was the oldest Chief to retire in the State of Wisconsin [Chief of Police Horace Van Doozer]. After Chief Van Doozers retirement James Hall took over as Chief. In 1939 Chief James Hall passed away and Chief Parkman was sworn in as Chief. 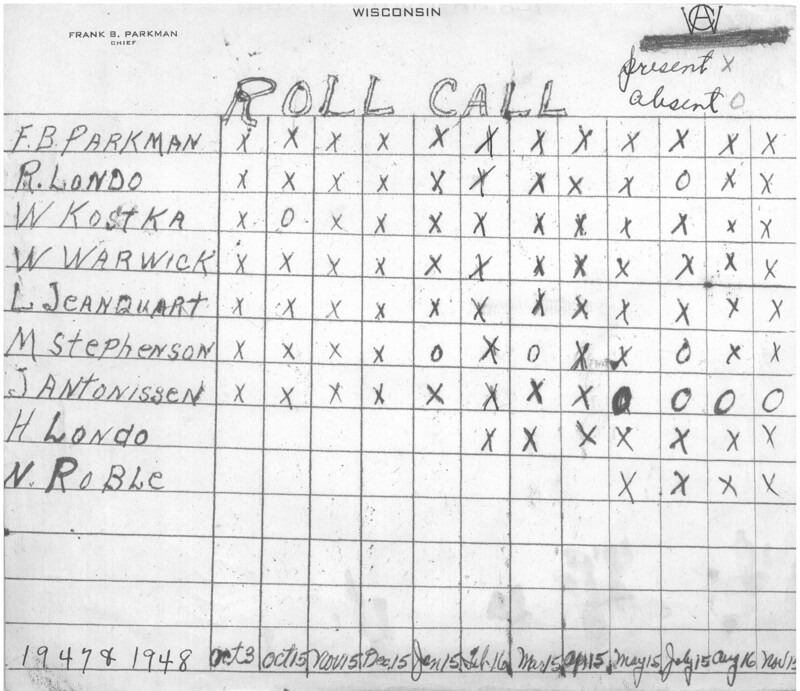 During Chief Parkman’s tenure he saw the Sturgeon Bay Police Departments staff grow from 3 Officers in 1930 to 9 Officers in the mid 1950’s 1947, SBPD Union Roll Call. Throughout this time, Sturgeon Bay was a hub for shipyard workers many coming from all over the country to work on various military ships in the local shipyards. Chief Parkman retired in 1953 allowing for Chief Roman Londo to be sworn in. Chief Londo was probably one of the most well known Chiefs of Sturgeon Bay [Chief Roman Londo]. Chief Londo otherwise known as “Romy” was a butcher and a wrestler prior to becoming a Police Officer for the City. One of Chief Londos most memorable moments occurred on his second day as a Police Officer working the Cities West side. While walking his beat he had been told of a disturbance by one of the Cities rowdies in a tavern on the east side. Chief Londo went to near by Ted La Vines service station and requested a ride from two men who had stopped for gasoline. They gladly gave him a ride across the bridge to the east side tavern where Londo arrested and jailed the person who had caused the fight. Soon after a report was received that Jack Severson Service Station on the west side had been robbed and Jack had been kidnapped. Jack was eventually found in Maplewood unharmed dropped off by the robbers. The robbers were the same two men who had given Chief Londo a ride to the east side tavern. Their plans were to rob La Vines station, but were thwarted by Londo’s request for a ride. 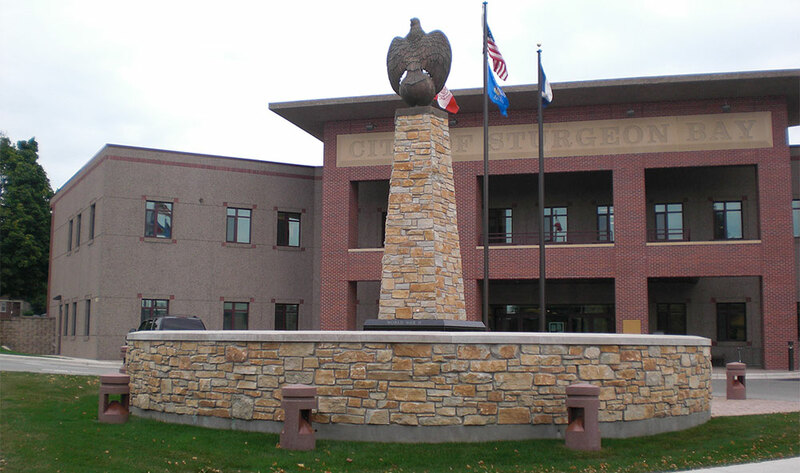 As the City of Sturgeon Bay grew into what it is today, the Police Department grew as well. 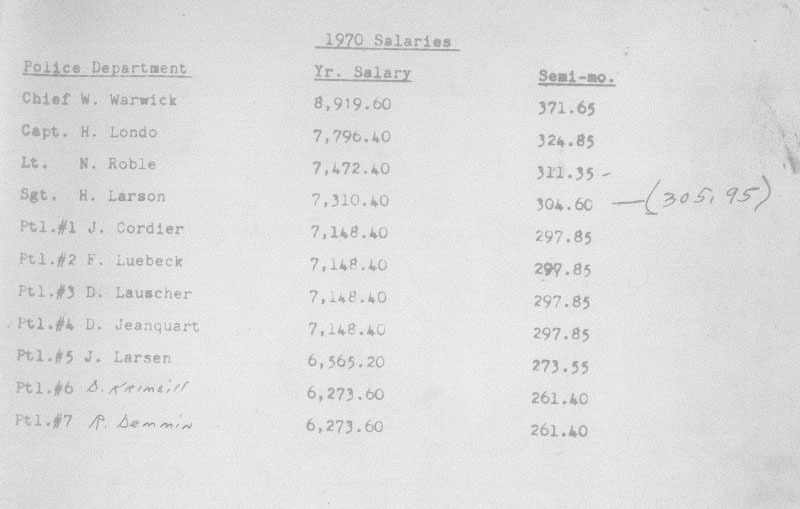 In 1970 the staff for the Police Department grew to 11 Officers, who made approximately $7000.00 a year 1970, SBPD Officer Salary. Today the Sturgeon Bay Police Department has 21 Officers, which provide Police Services to a community, which looks dramatically different from 1883 or even 1930, but the calls for service by the citizens of Sturgeon Bay haven’t changed very much. Just as its predecessors who walked the beat on both sides of the water; The Sturgeon Bay Police Officers continue to walk throughout the businesses and neighborhoods on both sides of the water working in partnership with the community to create a safe nurturing environment one that all can enjoy. 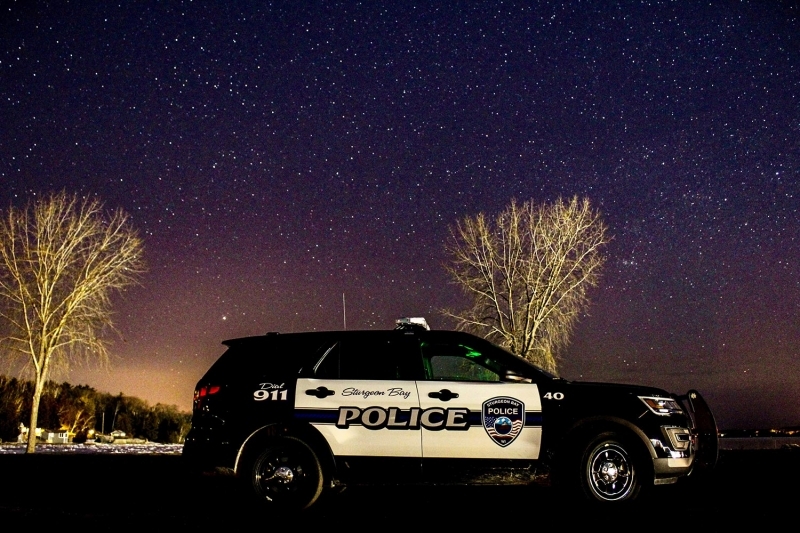 The Sturgeon Bay Police Department is proud to serve, protect, and work in partnership with the community to ensure a safe, nurturing environment.